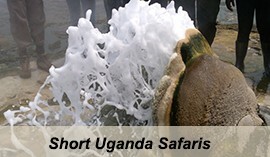 The 6 Days Masai Mara Safari Kenya Tour. Kenya Tour. Kenya Safari Masai Mara. 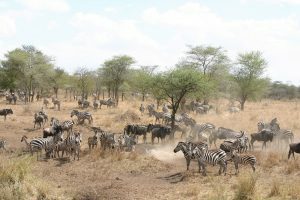 The 6 Days Masai Mara safari in Kenya tour & Great Rift Valley Kenya tour is a classic Kenya safari trip provides an opportunity to explore the abundant wildlife and Vibrant cultures of Kenya Masai people. Enjoy splendid scenery that will make you fell lost in the new world of the Great Rift Valley fused with amazing wildlife, scenery & Culture. The 6 days Masai Mara and Great Rift Valley safari offers splendid scenery that will make you fell lost in the new world of the Great Rift Valley, explore lake Nakuru painted with millions of pink flamingos. And a boat trip at lake Naivasha accompanied by the relishing high tea at Elsamere. Explore the plains of the Masai Mara National reserve to experience the Great Migration-the greatest animal spectacular on earth. Relax at the elegant and exclusive Kenya accommodation that offers exquisite tailored services, advanced cuisines and first-rate game viewing. Day 3 of the 6 Days Masai Mara Safari Kenya Tour & Great Rift Valley Kenya Tour: Visit lake Nakuru with its millions of colorful flamingoes. 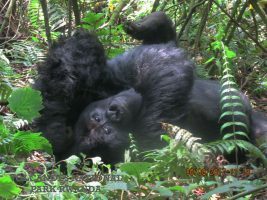 Day 4 of the 6 Days Masai Mara Safari Kenya Tour & Great Rift Valley Kenya Tour: Relish game drives in the Masai Mara National Reserve in a 4×4 Safari Vehicle. Enjoy a leisurely drive on your way to Lake Naivasha-one of the two fresh water lakes in Kenya and it is part of the Great Rift Valley in Kenya. The areas of the lake inhabit a variety of bird species such as African fish eagle and huge herds of African Hippos. Visit the Joy Adamson`s famous Elsamere farm in the afternoon to savor on the high tea. Adamson is famous for her book “Born free” which she wrote about the lion cub she raised. Adamson`s home is now a conservation center with much interest in creating environmental awareness and the ecology of the lake. Enjoy the views of wild game at the banks of lake Naivasha while on the boat cruise in the late afternoon. On this day, you will be driven to the charming Lake Nakuru National Park featuring Millions of pink flamingos and a population of rhinos. The drive through the Great Rift Valley to Lake Nakuru will take up to about 2 hours drive. 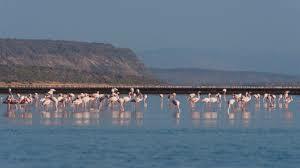 Lake Nakuru National park is perhaps the most beautiful park in Kenya despite being small. The park features a large variety of wildlife including a large number of rhinos, lesser and greater flamingoes. There are also zebras, waterbucks, lions, buffalo and the rare Rothschild Giraffe. Return back to the lodge in the afternoon for leisure and relaxation. Relish a morning breakfast and transfer by flight to Masai Mara from Lake Naivasha national park. 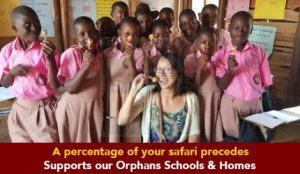 This is a short distance flight offering sightseeing of the fertile Masai Mara. Upon arriving at the airstrip, you will be welcome by our professional guide who will transfer you to tented Masai Mara accommodation overlooking the Mara River nestled in the forest banks. After relaxation at the lodge, undertake an afternoon game drive offering great opportunities to explore abundant wildlife such as elephant, giraffe, lion, Zebra among others. Gather around the campfire in the evening for pre-dinner drinks and candle light dinner. 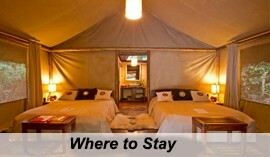 Retreat to the lodge for relaxation and overnight. 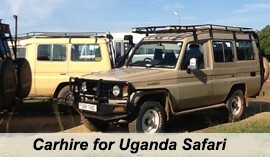 Enjoy the Masai Mara safari for two days. Undertake morning and afternoon game drives in the park in such for abundant wildlife species including numerous African grazers and prides of lions and leopards longing in the tree. Visit the Masai local homesteads in the afternoon for a rewarding encounter with Kenya`s iconic Masai herders whose lives depend on livestock and are nomadic pastoralists. You can also opt to relish a hot air balloon safari to the best aerial views of wildlife over the Masai plains. The thrill you will enjoy while floating above the plains, rivers and forests of the Masai Mara is really a rewarding activity. 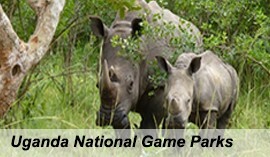 Wake up early in the morning and depart for the final game drive in search for wildlife. Return to the lodge for breakfast and checkout for a flight back to Nairobi. And this marks the end of your 6-day classic Kenya safari to Masai Mara and the Great Rift valley.